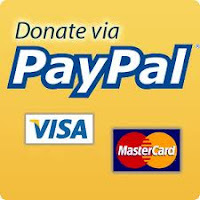 Venice Stakeholders Association: Please Make a Donation to the VSA to Support Lawsuit Against Bonin's Attempt to Turn Westminster Senior Center into Homeless "Navigation Center"
Please Make a Donation to the VSA to Support Lawsuit Against Bonin's Attempt to Turn Westminster Senior Center into Homeless "Navigation Center"
I am writing to ask you to make a tax-deductible donation to the VSA to support Venice Kids Count's on-going lawsuit to stop Councilman Bonin from turning the Westminster Senior Center into a full-service homeless "navigation center." Bonin initially, and falsely, presented the new use of the center as just storage, while all along planning to open a counseling center that would serve the 1,200 homeless in our community, drawing them to the Westminster site in a residential neighborhood across from the elementary school. Venice already has a homeless navigation center operated by St. Joseph's on Lincoln Boulevard at Sunset - it is the scourge of the adjacent residential neighborhood. Just last year a homeless woman hanging around the facility started a fire in a dumpster in the alley which spread to a nearby home, exposing the pregnant homeowner to noxious smoke and forcing her out of her house for days to avoid harm to herself and her unborn child. Do we really need another magnet for the homeless in yet another residential area of Venice? Donations may be made on this website by credit card, or check sent to the VSA at 1615 Andalusia Avenue, Venice, CA, or to Venice Kids Count at P.O. Box 1576, Venice, CA (the difference is that the VSA has non-profit status and Venice Kids Counts does not). 100% of donations to VSA for this purpose will be given in turn to Venice Kids Count.